As with any kind of car body repair, the only way that you’ll get a ‘good-as-new’ result is with a professional repair. But, car paint pens are becoming more available on the market. If you’ve only got a very light scratch on your paintwork you may be tempted to give them a go. 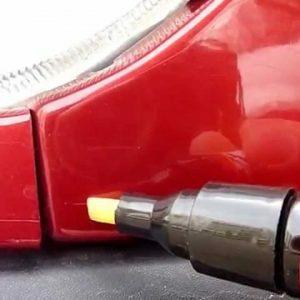 Here, we explain what these car paint pens are, how they work and the kinds of results you might expect. There are different branded ‘magic car paint pens’, including T-Cut. Their claim is that they can match any colour of paintwork to hide the scratches, with a tiny price tag. But, is this too good to be true? Well, in most cases the answer is yes, it is too good to be true. Of course, no-one could expect that a pen could act like an eraser to completely remove the scratch. These pens don’t contain any paint, but only have clear lacquer. Car paintwork has a layer of clear lacquer over the top of the paint, and it is this that magic pens aim to repair. If there is any deeper scratch in the paintwork, this clear ‘band-aid’ over the top won’t make a difference. One Amazon review for a magic car paint pen compared the appearance to ‘nail varnish’ over the top of a scratch. 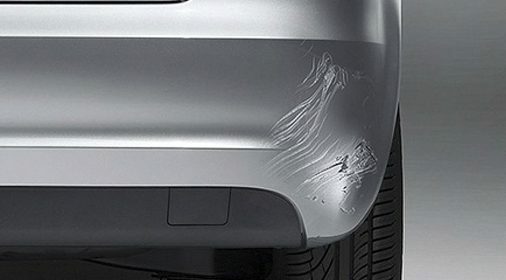 That being said, if you only have tiny, surface marks to repair, this technique could help to disguise them. As with any repair, you’ll need to clean and dry the area first. Then, draw the pen over the mark, the nib is almost identical to a felt tip. However, the damage will still be visible from close up. 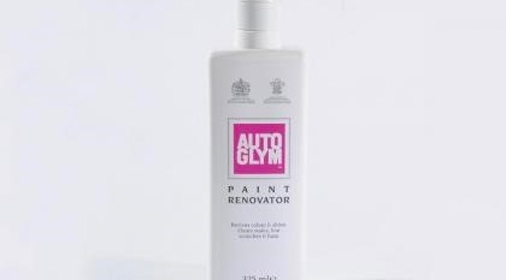 Or, if you have a deeper stone chip or scratch and want a temporary fix to prevent rusting, this product can be used to seal and protect it from further damage. 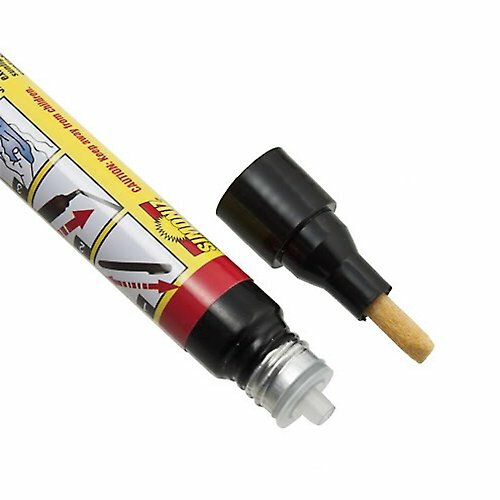 Cheap, off the shelf paint repair pens, which come in simple colours like red, black, white, etc. At ChipsAway, we don’t recommend using off the shelf pens. This is because it is so easy to end up with results that look like a bit of a bodge job. If you are attempting to restore your car’s looks, you don’t want to end up with it looking like someone took a Tip-Ex pen to it! Clean the area to remove any wax or polish, then apply a primer. You will need to pump the pen to get the paint flowing. Be careful not to do this on the car. Use another hard surface, and wipe away any excess paint from the nib, before applying. Once the primer is dry, apply the coloured base coat carefully. Allow this to dry, then apply a clear top coat to seal it in. The top coat can easily remove the base, so be careful at this stage. Ensure you carry out the repair in an enclosed area, or on a still day, to avoid a dusty finish. Once it’s all dry, you can polish and wax as normal. Although you may be able to improve the look of any damage with a paint pen, a DIY repair will not compare to a professional repair. 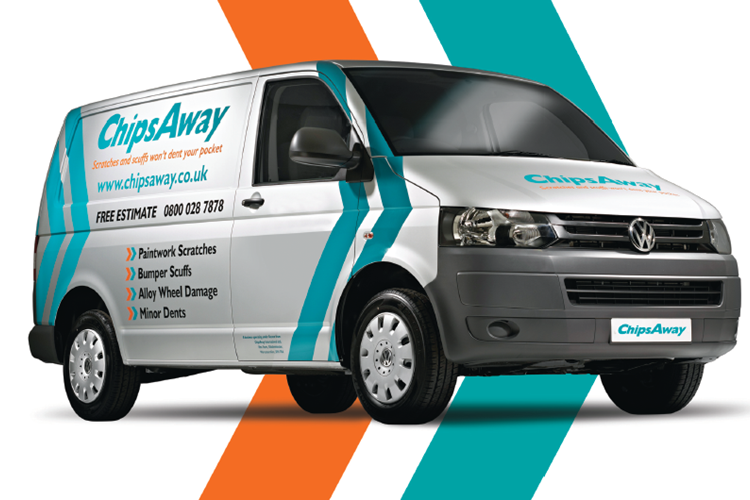 Our fully trained ChipsAway specialists can help you get results. 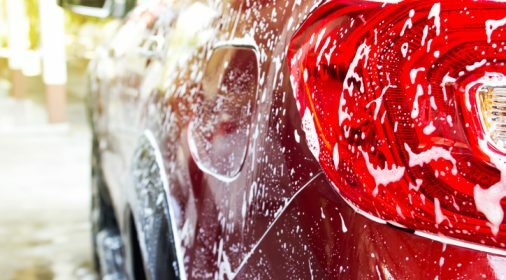 As they can keep the repair local to the damage, it can usually be done without the hassle and cost of a body shop. If you feel confident completing the repair, and have the time, ensure the paint pen is colour-matched well, and use a primer and topcoat. Have you recently scratched your car? Complete our online form, or call us on 0800 1455118 for your free estimate.